Loryl Kuehn Cathcart was passionate about people, nature and all of life. She, along with her husband, David, raised two children, Emily and Peter, in Tewksbury, New Jersey, and, for thirteen years, in Charlottesville, Virginia. 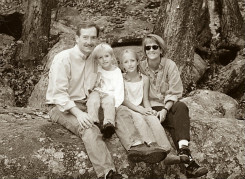 Loryl was first diagnosed with an ocular melanoma tumor in 1999, shortly before the family moved to Charlottesville. Drs. Jerry and Carol Shields, of Will Eye Hospital, recommended enucleation, and Loryl’s right eye was removed two days after initial diagnosis. Though there were some complications from the surgery, and the enucleation procedure had to essentially be repeated six weeks later due to staph infection, Loryl never complained of her cancer, its treatment and never discussed any fear of the cancer’s recurrence. Loryl and her family were blessed with thirteen years of a cancer-free life as she was a wonderful mother to her two children. 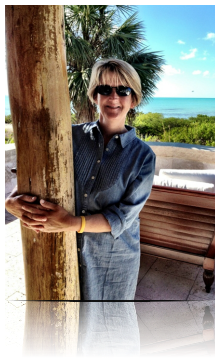 Early in 2012, Loryl experienced pain in her upper abdominal area and, following a series of tests, scans, and, finally, a biopsy, she was diagnosed with metastatic ocular melanoma in her liver. Her local oncologist, Dr. Stefan Gorsch, quickly recognized the rare and unique nature of the disease, and referred her to Dr. Takami Sato, of Jefferson University Hospital in Philadelphia. Dr. Sato and an interventional radiologist, Dr. David Eschelman, were able to effectively treat the cancer in Loryl’s liver with chemoembolization from February though August. 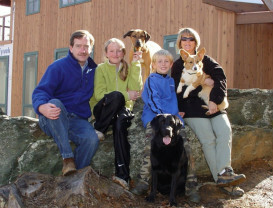 While the treatments were effective, Loryl was able to lead a relatively normal life with her family, friends and assorted animals at the family farm. Loryl remained an inspiring positive force, and not wanting to focus on her disease, she lived every moment to the fullest. In September, blood tests revealed that chemoembolization was no longer an option. Loryl was never going to give up and she wanted to consider other options, but her condition began to decline rapidly. She passed away on October 3, 2012 surrounded by loving family and friends. As a wife, mother, colleague and friend, Loryl simply and unreservedly loved people, and was always there to help anyone with a project large or small or to provide care wherever she sensed it was needed, in whatever form. Many who knew Loryl think of her, first and foremost, as “one of the all-time greatest mothers,” whose strength and gentle grace were shared in abundance. She embraced, fed, advised and affirmed all children as though they were her own. Loryl found peace in tending to her horses, and in long, quiet walks with her four dogs and two cats. (Yes, Loryl’s cats would follow her on her walks.) The natural world was her spiritual home. In Loryl's absence, those who knew and loved her feel her presence there, and in the comfort they provide each other in sharing their memories of her rare and loving spirit. Please donate to the Ocular Melanoma Foundation in memory of Loryl Cathcart. 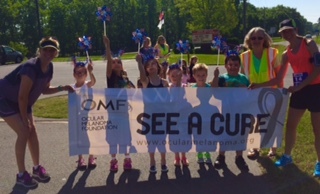 If you have any questions or want further information about Warrior fundraising with OMF, please email warriors@ocularmelanoma.org or our Head of Communications, Jessica Andersen.